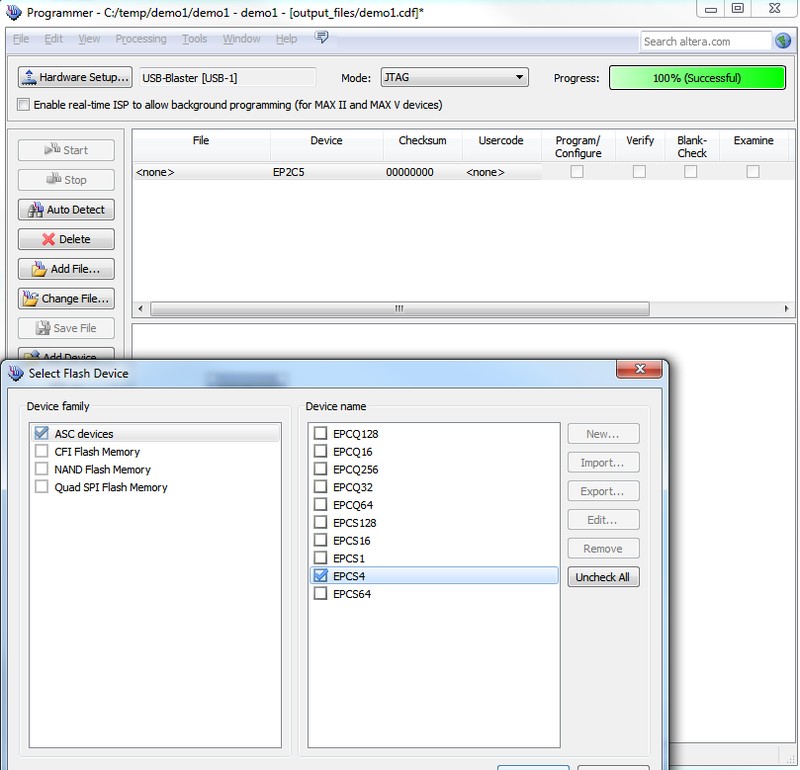 I mentioned in previous post that I will be using Bus Blaster programmer which was bundled together with FPGA development board. 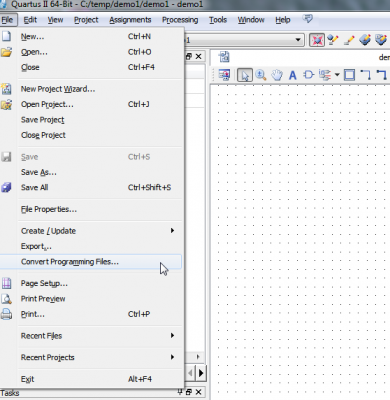 This has to be best option for the beginner. When project is compiled next logical step is to run it on real hardware. 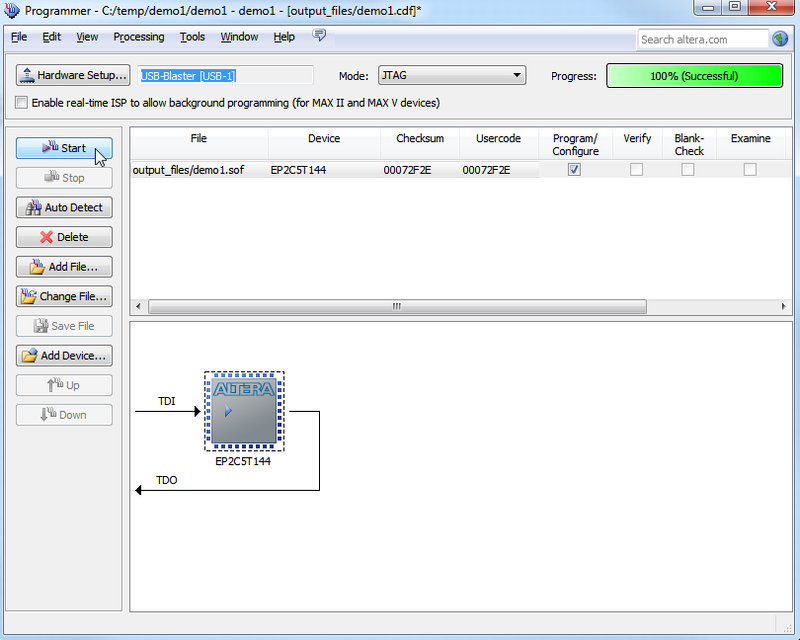 Of course simulating and testing performance is also useful step, but this time we will skip directly to hardware testing. 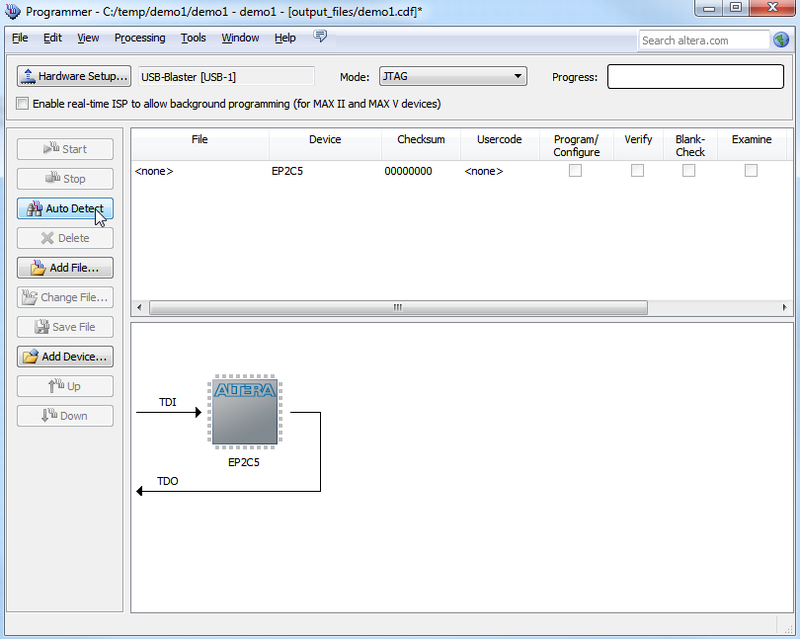 I will be using the same project – button controls LED. 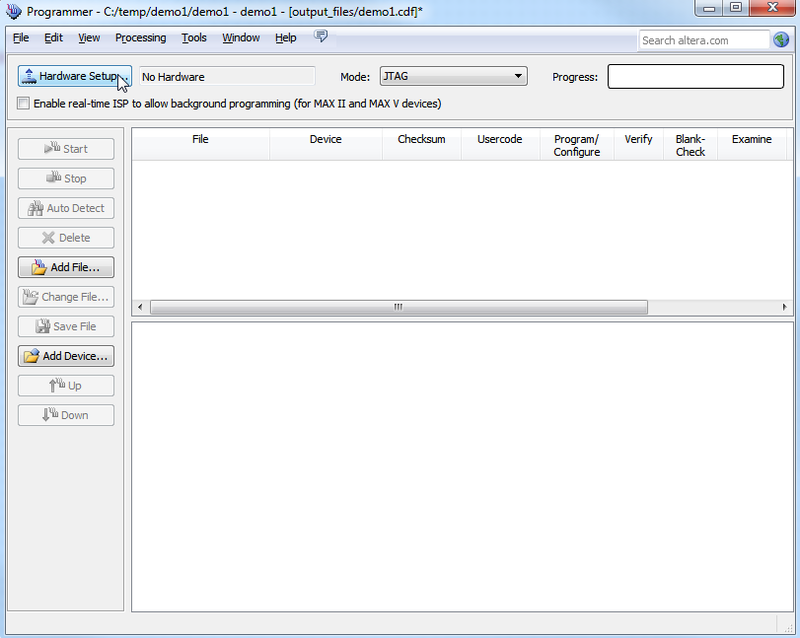 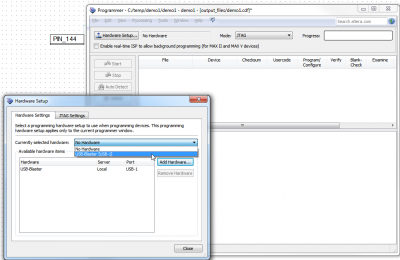 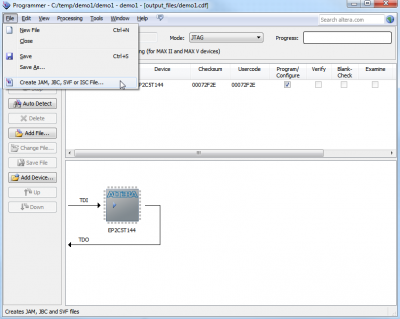 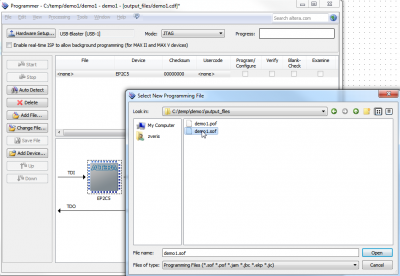 By completing this step you will get demo project working on FPGA hardware. 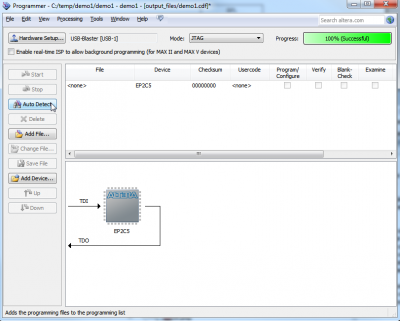 This step writes binary file to FPGA itself and after rebooting device it will be blank. 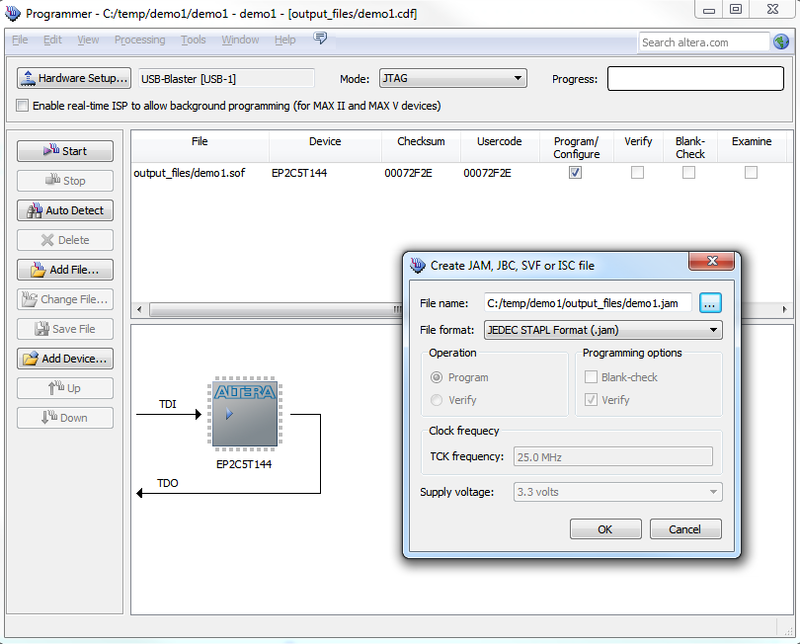 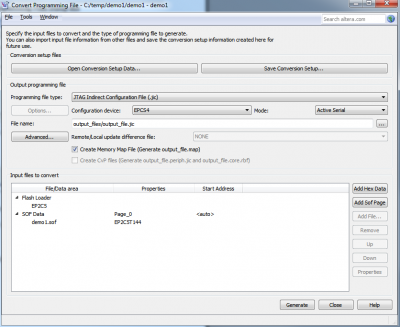 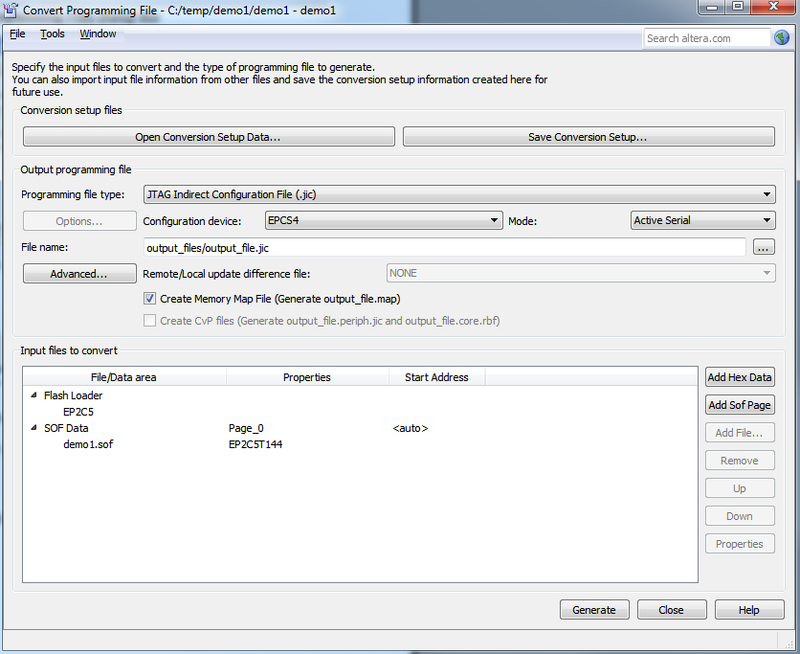 Following recipe will provide you information how to write firmware to flash. 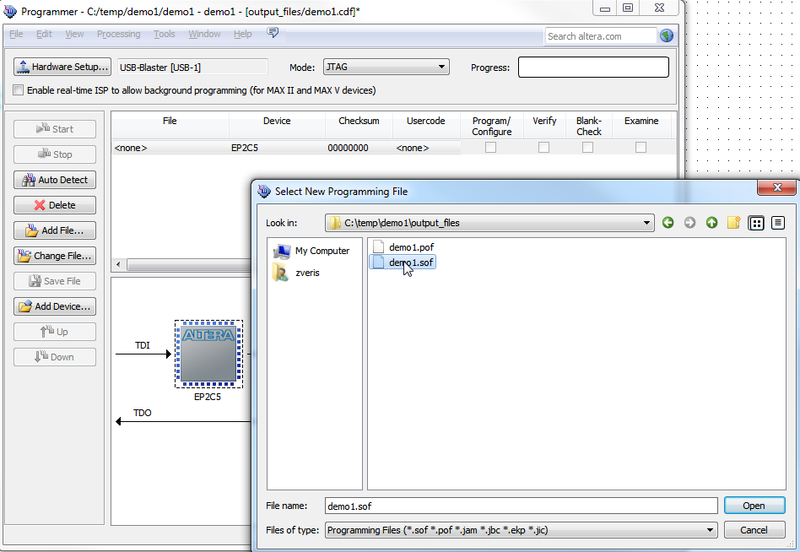 Writing compiled file to installed flash device is not trivial. It involves couple of file conversions with included tools and correct sequence pressing right buttons. This kind of complexity is caused of flexibility of Altera tools. 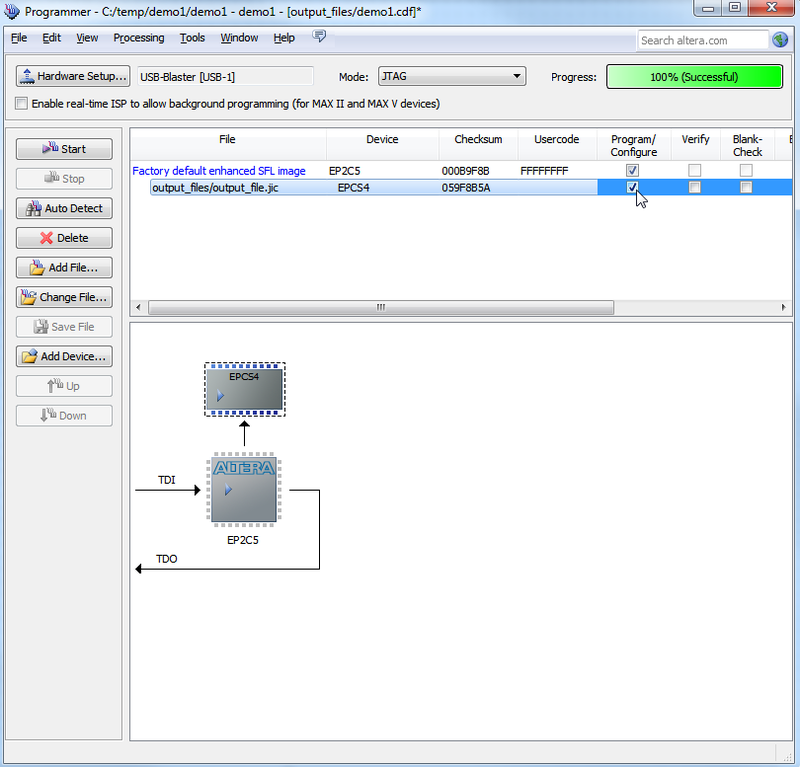 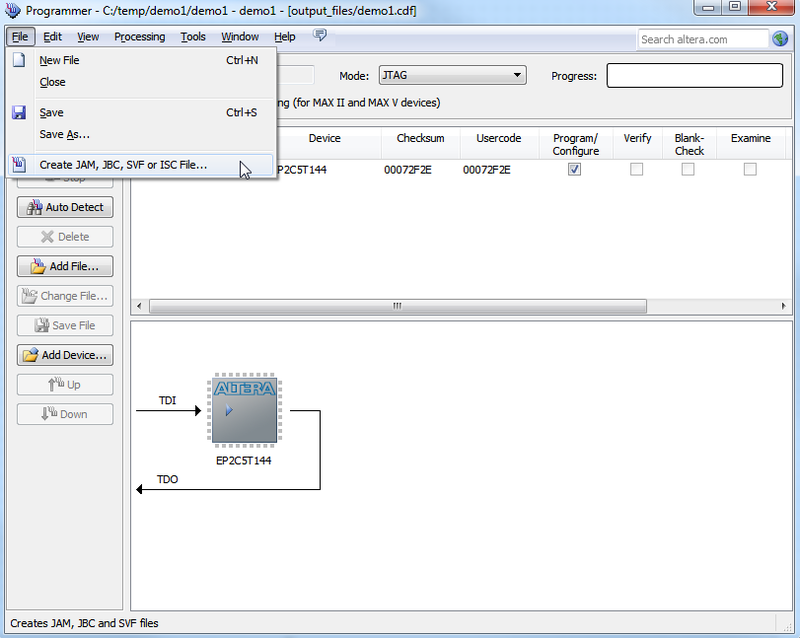 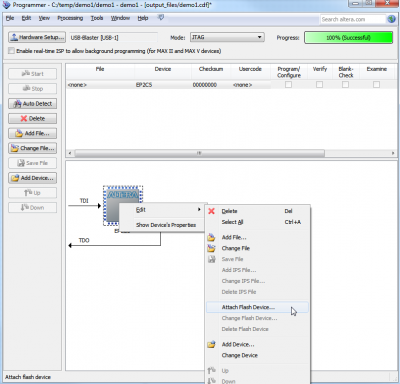 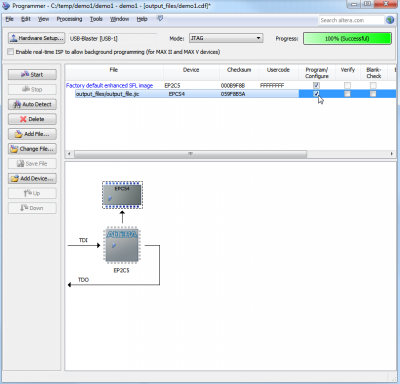 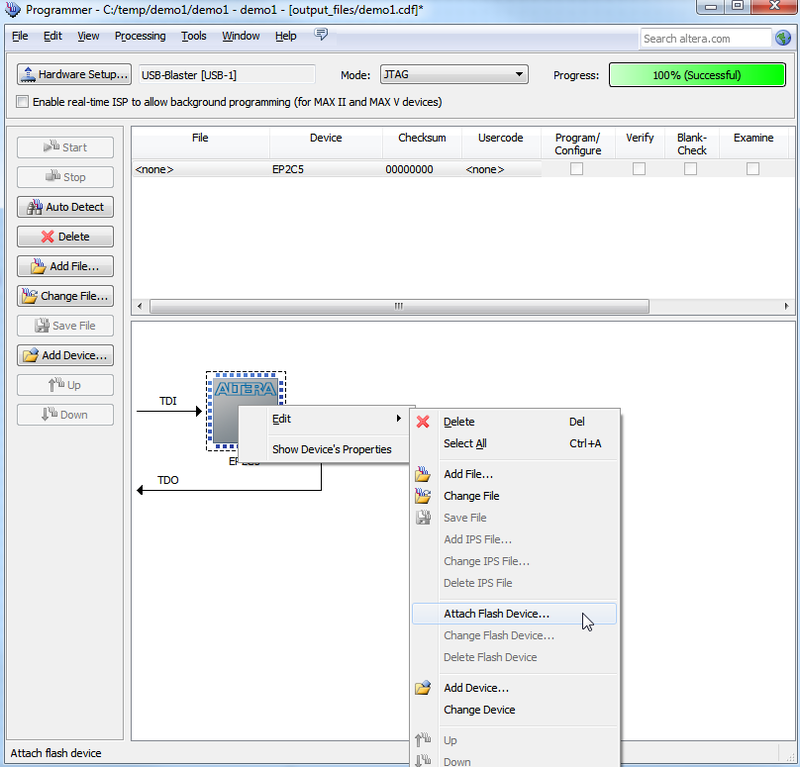 It is possible to flash several FPGA’s or flash devices in one programming procedure. 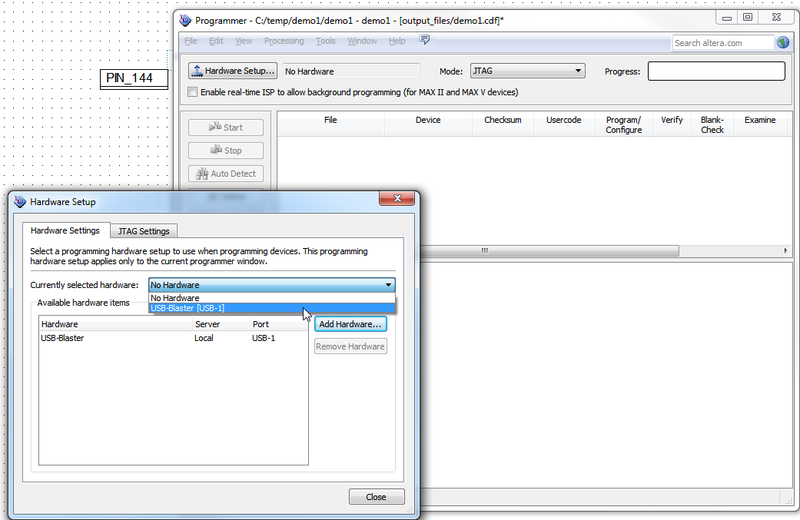 So, follow provided steps to program your designed logic into your board.